This is governed by the Inheritance (Provision for Family and Dependants) Act 1975 (refer to www.statutelaw.gov.uk for details). A claim can be brought if the potential claimant is amongst the type described by section 1 of that Act; in general the wife, husband, long term partner or child of the deceased (or person treated as a child of the deceased or maintained by the deceased prior to death). Section 3 describes the factors taken into account by the court in determining whether there has been “reasonable financial provision”. the nature of the proceedings employed in this type of case and the risk of the estate being sold and dispersed before a claim proceeds means that it is essential for you to obtain the assistance of a suitable solicitor at the earliest opportunity. In an Inheritance dispute, you are not actually contesting a will but maintaining that greater provision should be made relying on the Inheritance (Provision for Family and Dependants) Act 1975. In this instance we acted for an adult child (who was in his late 60’s!) against the estate of his late step mother. This is a salutary tale given the circumstances. In this type of will claim it is sometimes difficult for adult claimants to succeed as the courts tend not to regard such claimants as attractive given most can provide for themselves. They will not reward sloth or indolence. In our case the circumstances were unusual (as we relay below) and in any event the client was incapable of work (he was actually past retirement age). He was judged by us and our Barrister as just able then to persuade a court to make a positive award. The history of this matter went back to the 1940’s when unusually our client’s mother and father divorced. Our client’s father remarried and he decided to live with his father and step mother. He didn’t get on with her. His father who worked in a bank was killed during a robbery (he was shot). His step mother then received the bulk of his estate and generous death in service benefits. She died a virtual millionaire but left not a penny to our client who was anticipating a poor retirement in consequence. We brought proceedings to contest the will under the Inheritance Act but delayed serving them in the hope of settling by negotiation. We were about to serve the inheritance dispute proceedings when we received notice from the Defendants that in fact when our client’s father had been shot, he had received a generous death in service payment too. He had not mentioned this. If we had persisted with the claim, it could have ended in disaster but we managed to negotiate a settlement and payment of our costs. 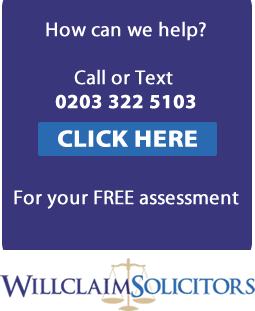 We are wholly reliant on our client providing all necessary information available to them to contest a will or in relation to any inheritance dispute. This didn’t occur here and it almost ended in disaster. A better and far more common claim for insufficient inheritance in this type of inheritance dispute is by a disappointed spouse (husband and wife). The courts are far more generous in these circumstances judging the merits of the provision by the will by what the claimant ought to have received by divorce. One such claim we successfully concluded on behalf of a client involved a farm which she had worked on with her second husband. She was his second wife and it was alleged that this farm had passed down the generations and should remain in his family (he had children by an earlier relationship). It was aggressively fought and concluded shortly before the trial with a settlement whereby our client received over 40% of the estate plus her costs. As a result she was able to move away from the farm, purchase her own house and enjoy an income on which to live independently whereas she had previously been tied to it with a life interest only.